If you have ever tried pushing a wheelchair on a beach you will know that it’s an almost impossible task. The small narrow wheels mean that as soon as you hit the sand you start sinking and without a Herculean effort you will get nowhere fast. 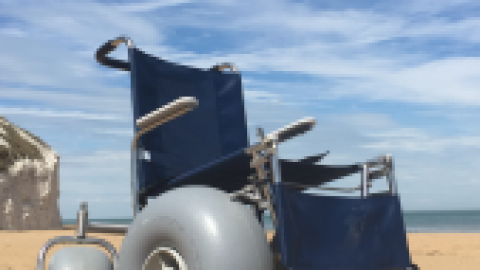 So for years wheelchair users have had to sit on the sidelines and watch everyone else enjoying the beach rather than being able to go and enjoy it themselves. 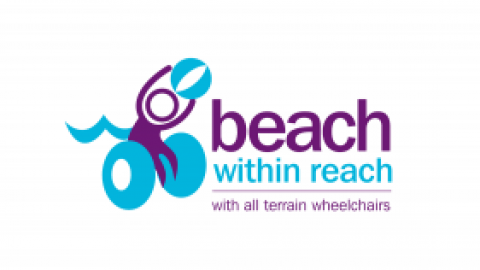 However, beaches are no longer no man’s land for wheelchair users, all thanks to beach wheelchairs! 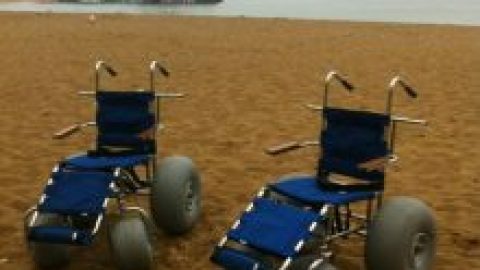 Beach wheelchairs have huge tyres which are able to roll over the sand with ease without sinking. Unfortunately there are only a handful of places around the UK that offer these wheelchairs. I was delighted to discover that one such place is Thanet in Kent, where I went to visit my family last week. 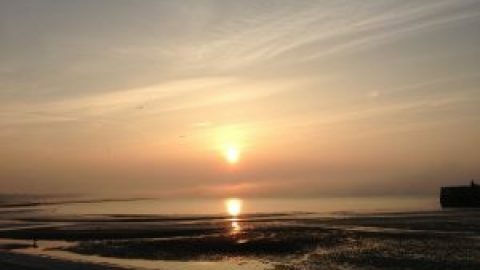 There are a number of popular seaside resorts in Thanet such as Margate, Broadstairs, and Ramsgate with lots of picturesque blue flag beaches.